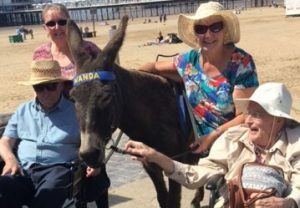 Bramley House residents and staff enjoyed a trip to Weston-super-Mare this week. They picked the perfect sunny day and enjoyed fish and chips followed by ice creams and drinks by the beach in the sunshine. 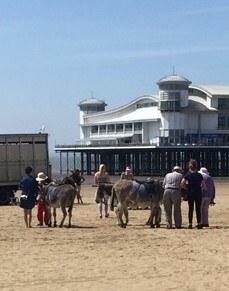 The donkeys on the beach provided some lovely entertainment. 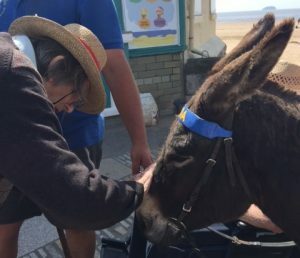 Thank you to Weston Donkeys (www.westondonkeys.co.uk) who walked a donkey up to those residents who couldn’t make the stroll down the beach to see them. A stroll down the beach to the donkeys. Spending time with the Donkeys.